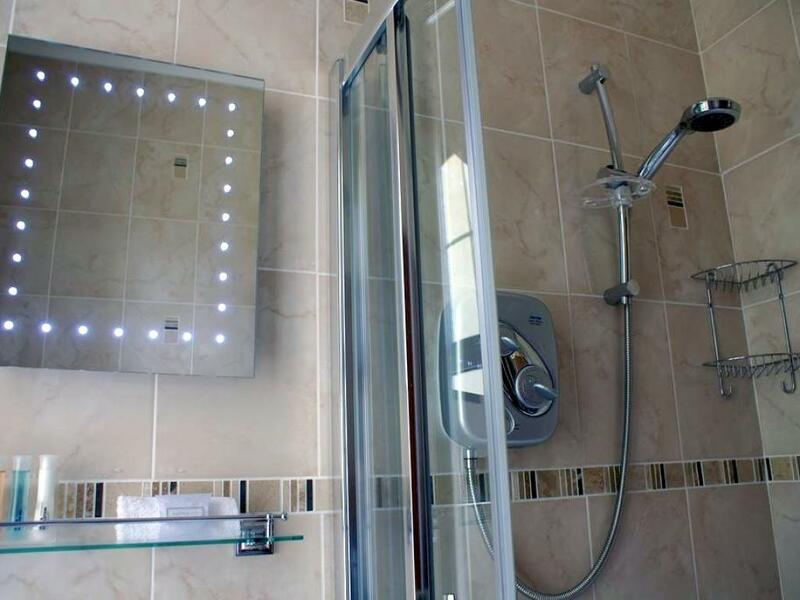 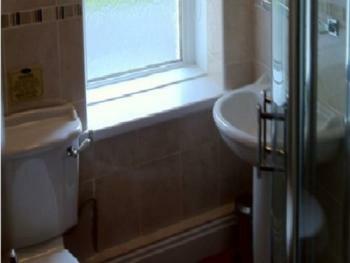 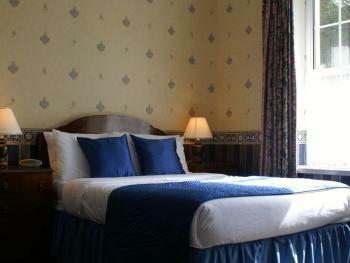 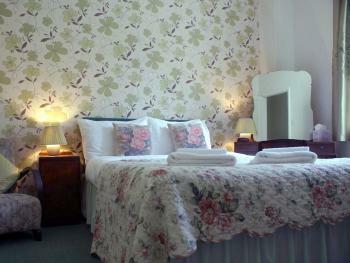 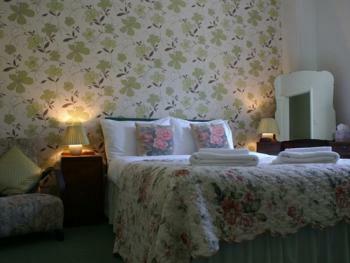 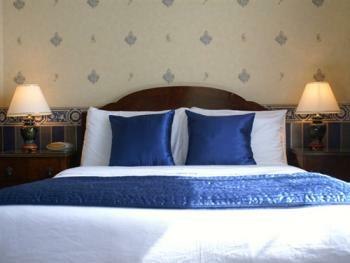 All rooms have ensuites with either shower or bath, all rooms have colour flat screen TVs with DVD player. 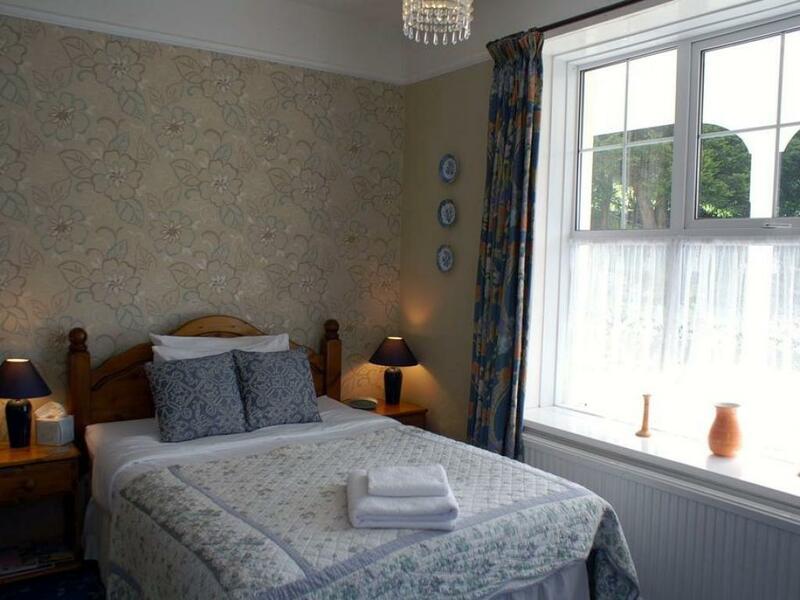 All double ensuite rooms also have views over the grounds and are centrally heated.Please note that we do not allow dogs in the bed and breakfast rooms only when booking the Dean apartment. Situated on the ground floor, this room consists of two double rooms - one double bedded and the second with twin beds with an adjoining ensuite shower room. 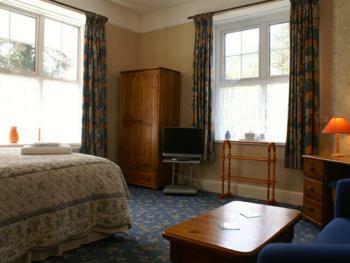 Very versatile accommodation sleeping from two to four persons. Our dean apartment is on the ground floor, approached through its own private courtyard garden. 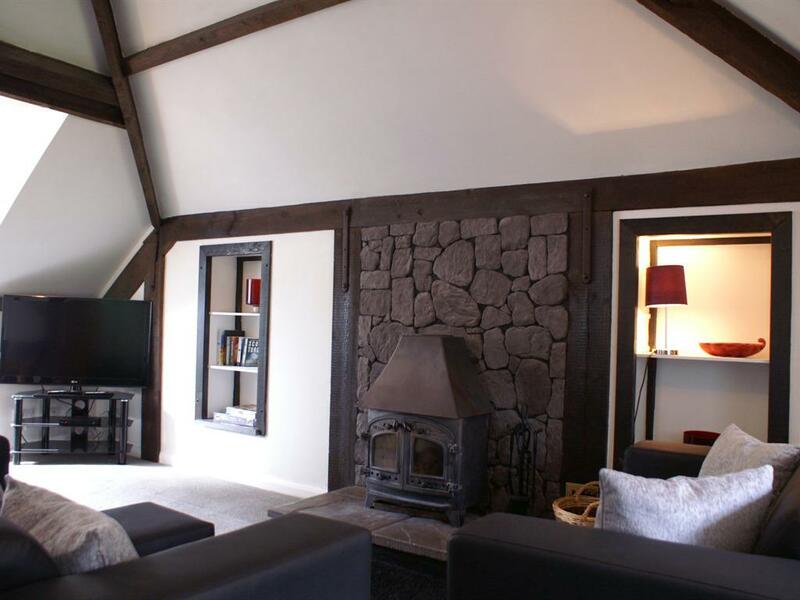 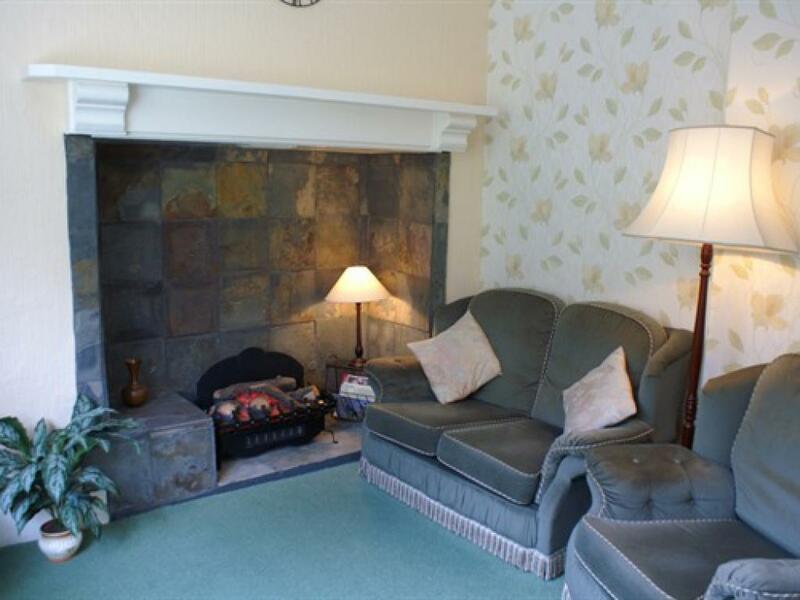 Comprises a double bedroom, kitchen (with electric cooker, fridge/freezer micowave etc, bathroom with bath and shower over, lounge with colour TV with DVD and large electric fire set in an inglenook fire place. Dogs are very welcome to share this apartment with their owners. 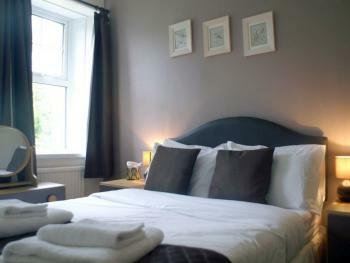 Sorry no children under 5 years Bed linen, towels, heating and lighting included. 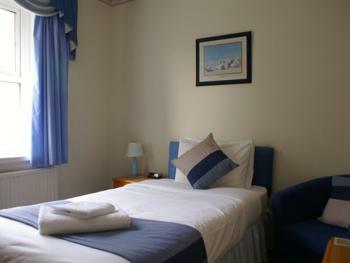 Electricity is inclusive in the price Towels supplied by the owners must not be removed from the rooms. 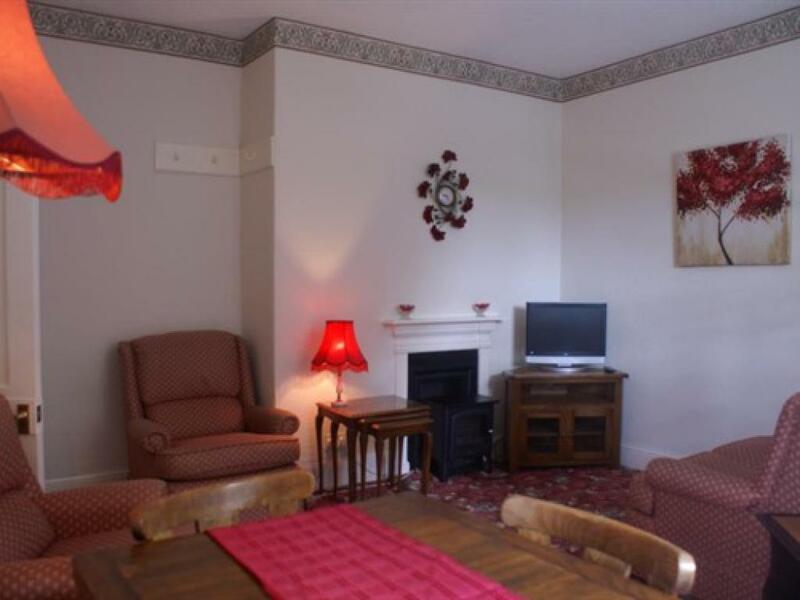 Our larger apartment is on the first floor has two bedrooms, a double room and a single room with adult size bunkbeds , with large lounge with colour tv/video and screened kitchen area, equipped with cooker, fridge, microwave etc. 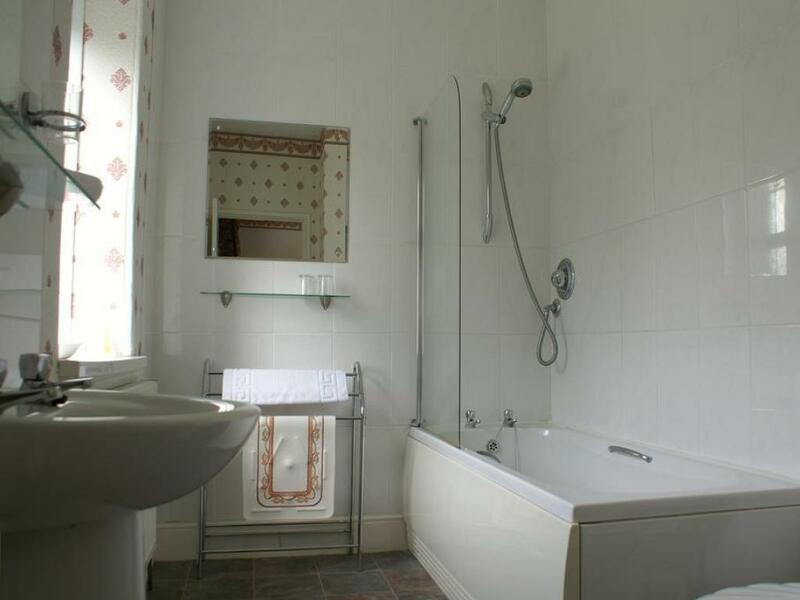 It also has a bathroom with shower. 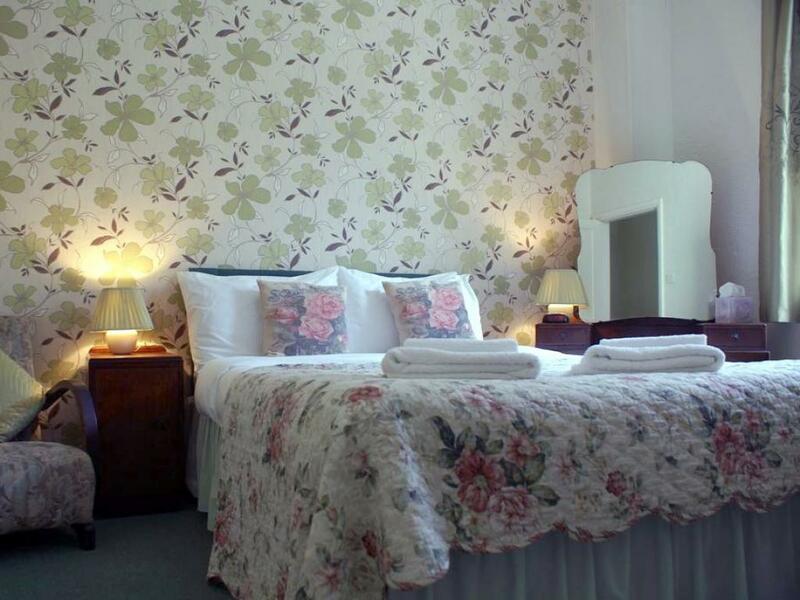 This two-bedroom apartment features a room with twin beds and a room with a double bed. 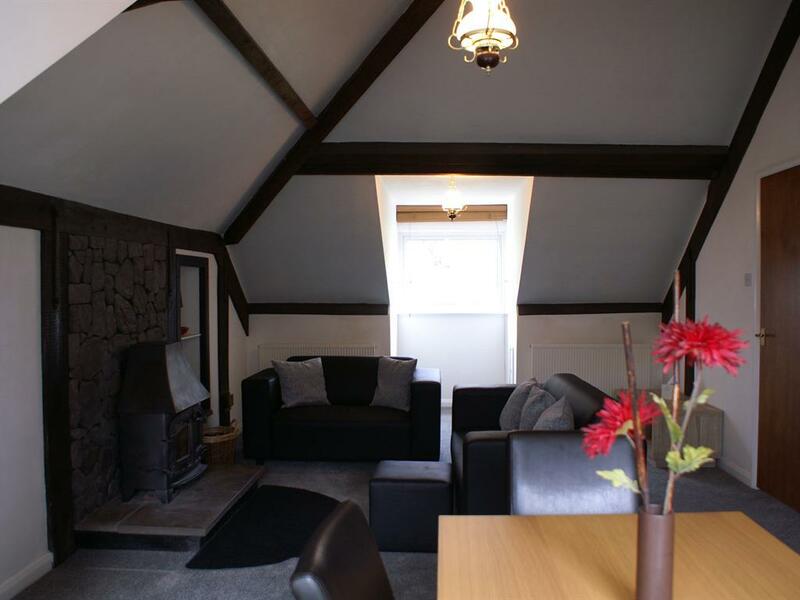 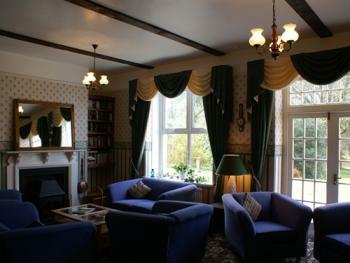 There is a lounge with a dining area and views of the Heddon Valley to the sea and a big kitchen. 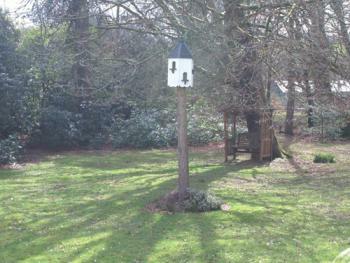 Please note, pets cannot be accommodated in this property. 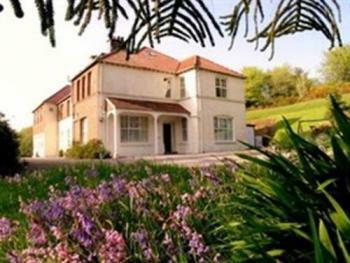 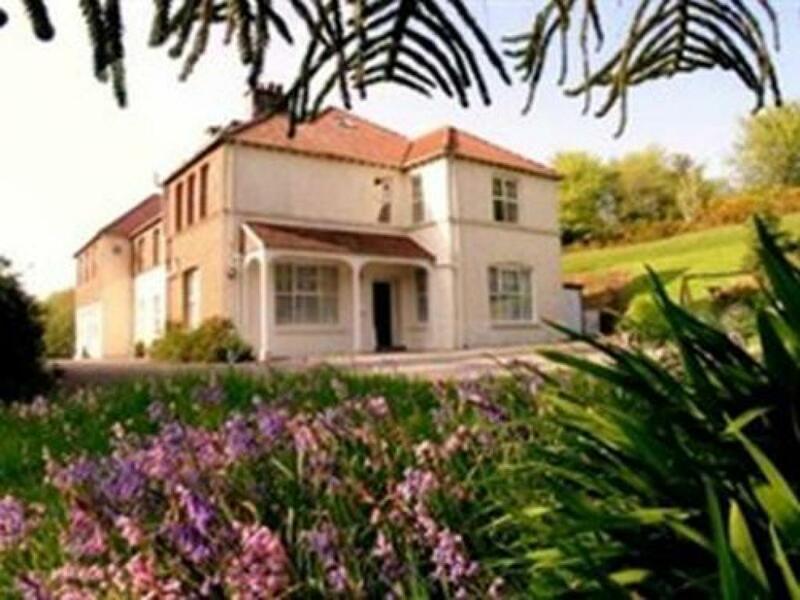 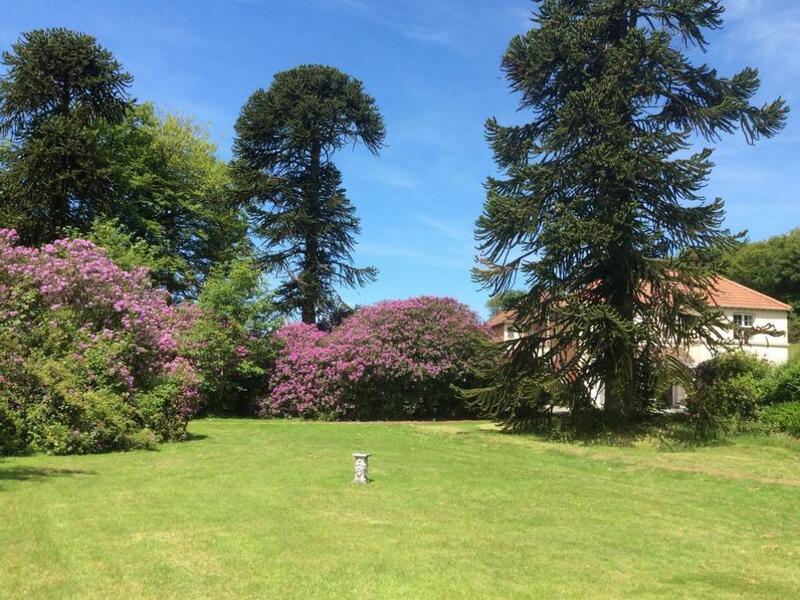 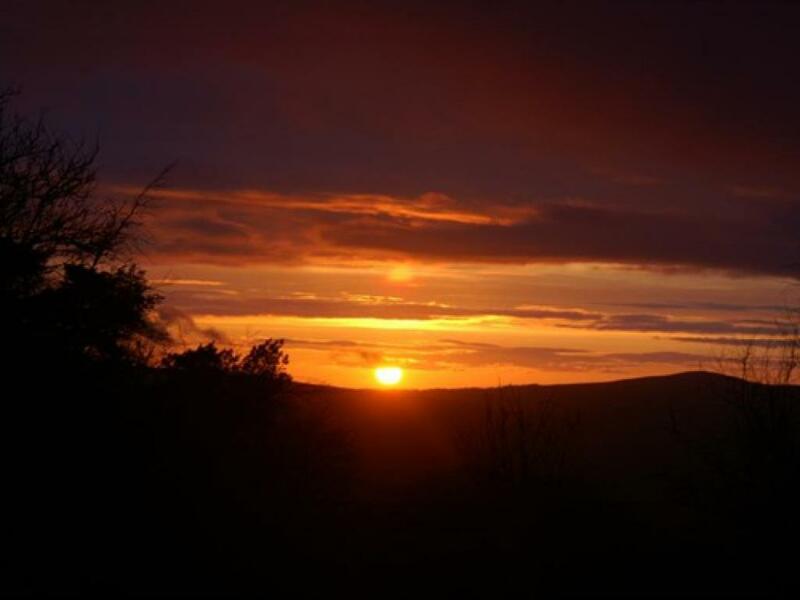 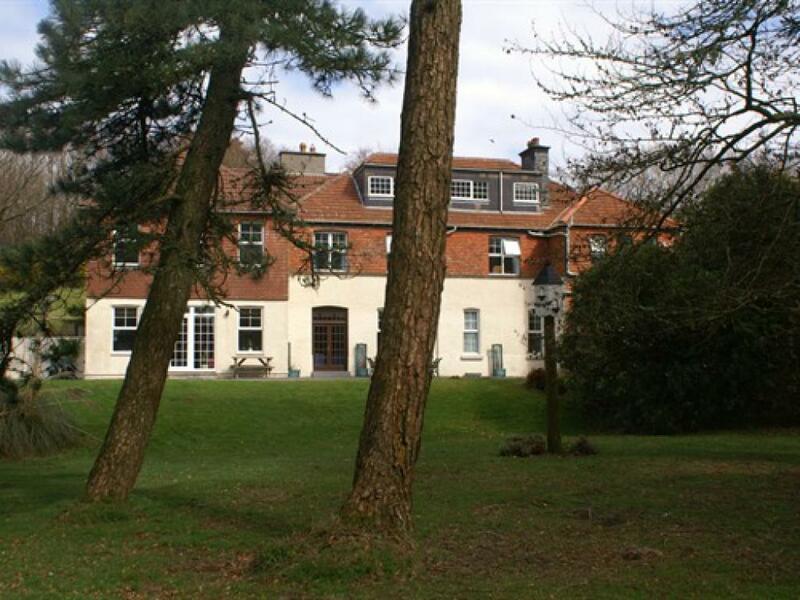 Moorlands is a 19th Century bed & breakfast hotel offering stunning views of the countryside thanks to its location set in 4 acres of gardens and grounds within the Exmoor National Park. 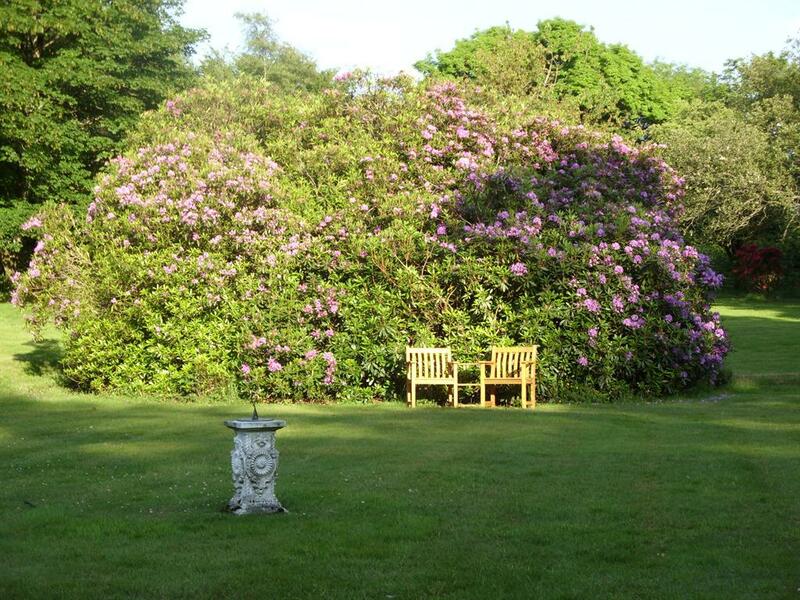 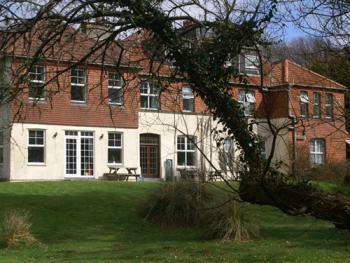 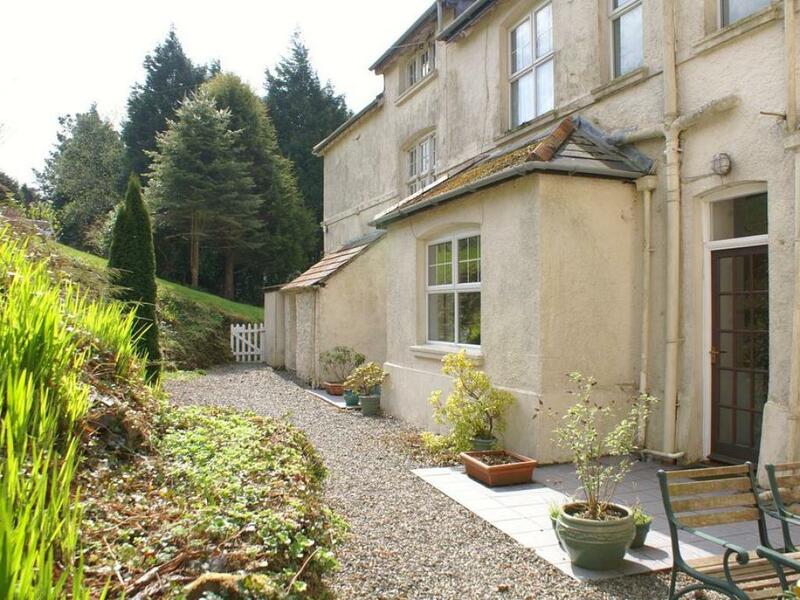 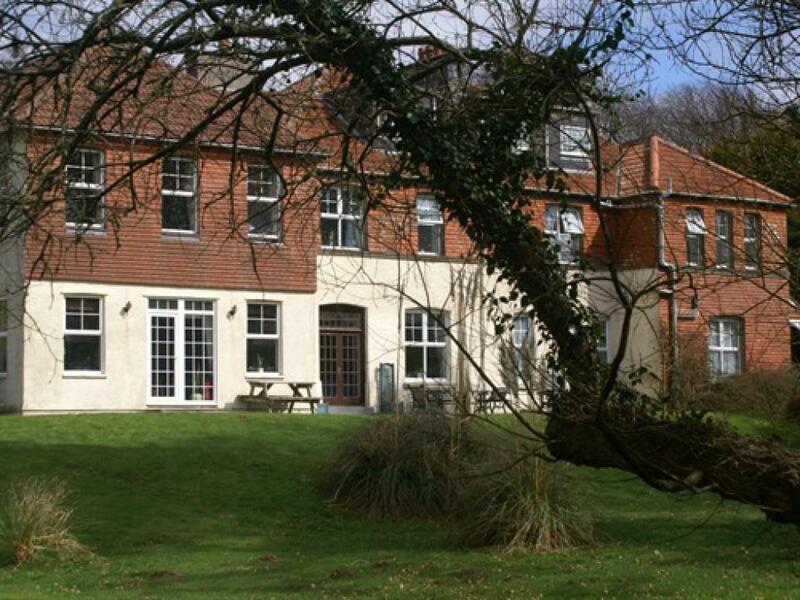 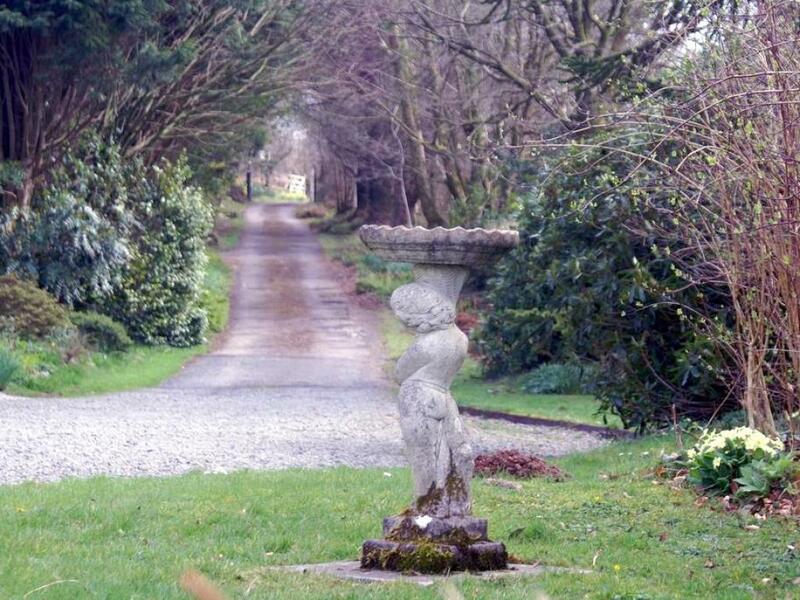 Situated within two miles walk or drive of the beautiful North Devon coast path at Woody Bay. 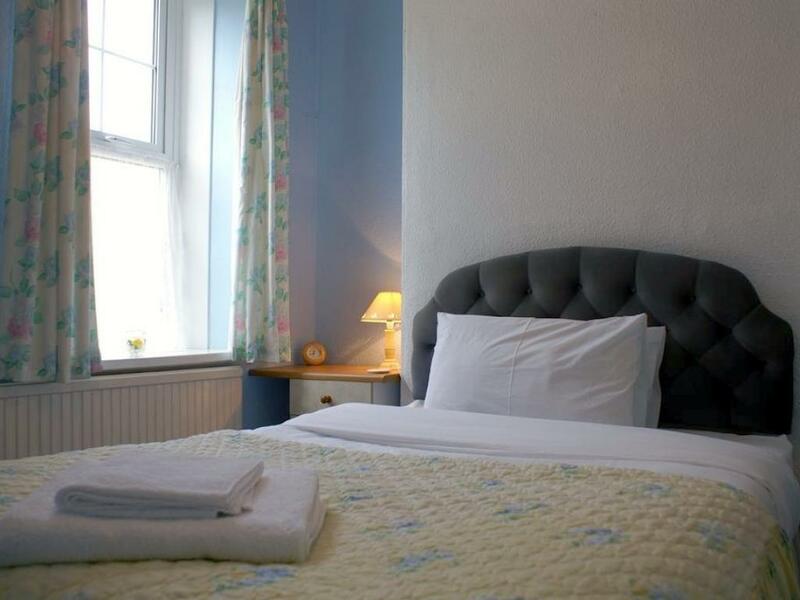 Only four miles away are the twin towns of Lynton and Lynmouth which offer a wide range of shops, pubs and restaurants, as well as Woolacombe and Croyde beaches. 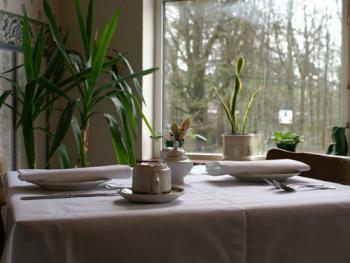 Our emphasis is on peace and relaxation supplemented with excellent breakfast served in our dining room with views over the gardens towards the Heddon valley, Trentishoe common and further towards Wales. Our residents lounge is available to relax next to our real fire with a book from our small library or a nightcap from the bar. 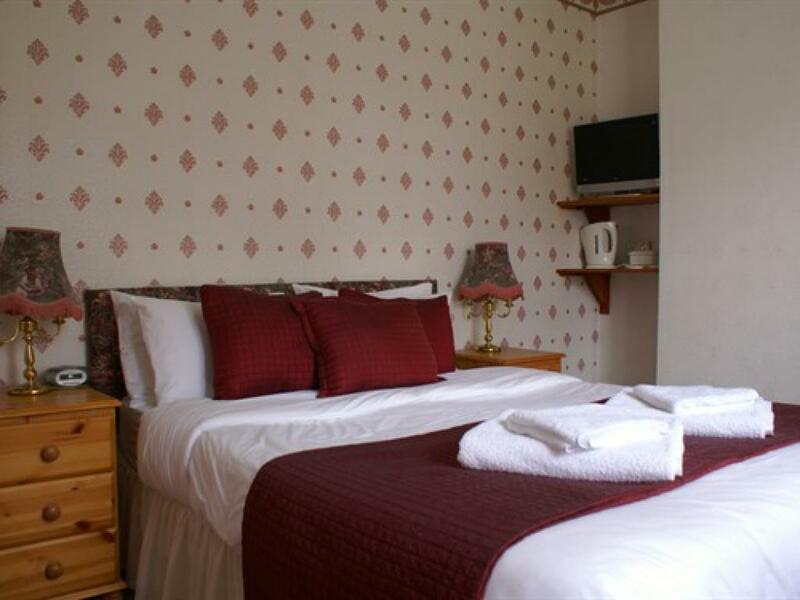 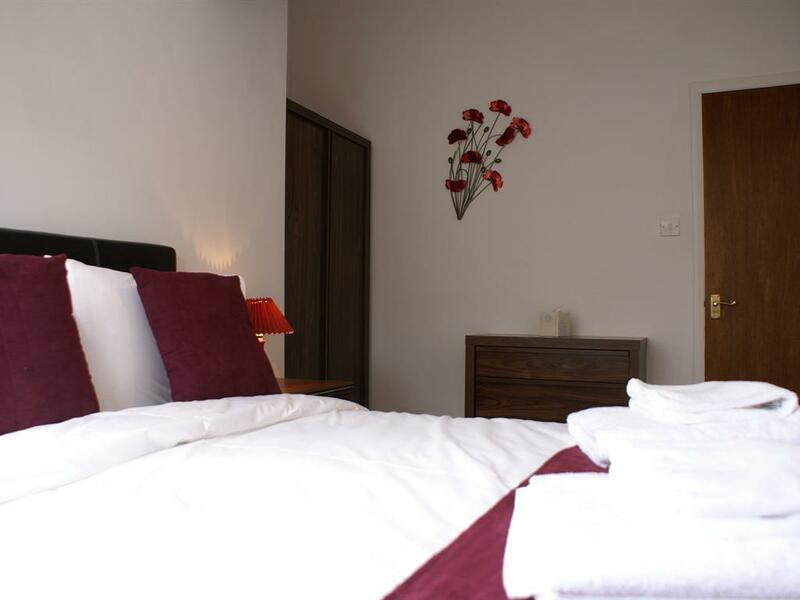 All rooms are en-suite with bath or shower, fully centrally heated with quality furnishings, colour TV and beverage making facilities. Two rooms are located on the ground floor if required. We also offer two self catering suites sleeping 2 / 3 up to 6 persons where dogs are welcome in the Dean suite. 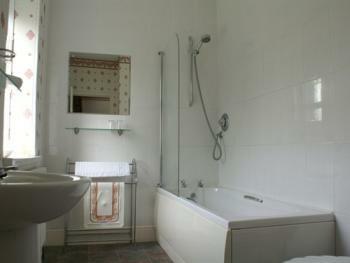 Please be advised the self catering suites are not included in the 3 star rating of the property. There are a range of activities available in the area for guests such as horse riding, tennis, golf, fresh and sea fishing. 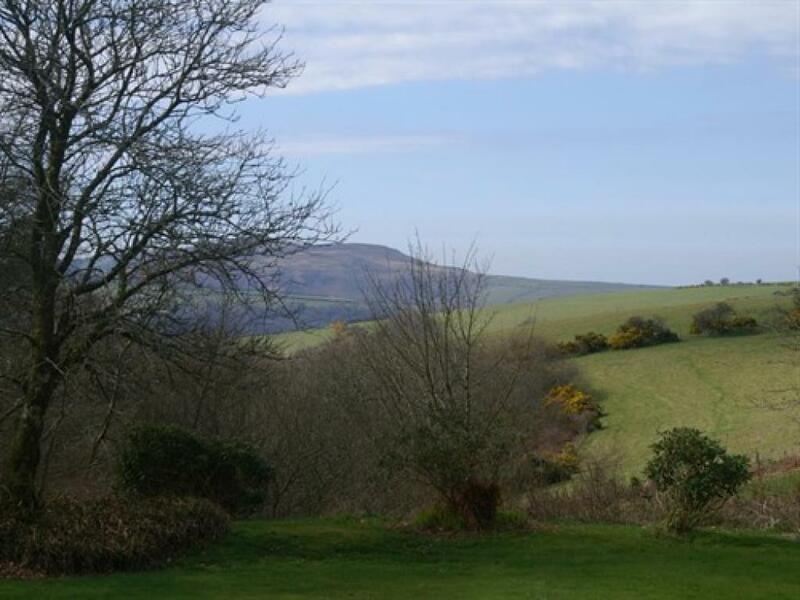 There are acres of Exmoor to explore either with map and compass or one of the many Exmoor Ranger walks arranged by the National Park Authority. 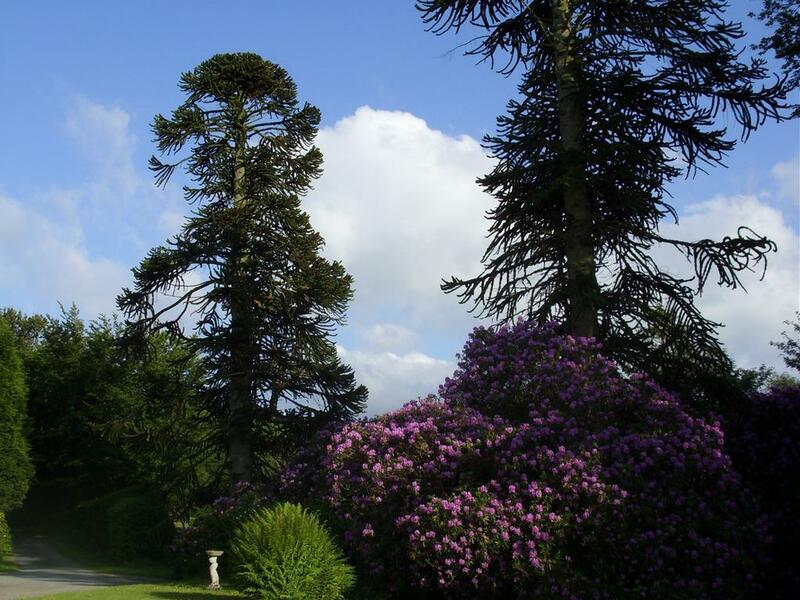 Accessible from our gardens is the lovingly restored Woody Bay Station, offering a step back in time with regular steam train rides towards Parracombe. 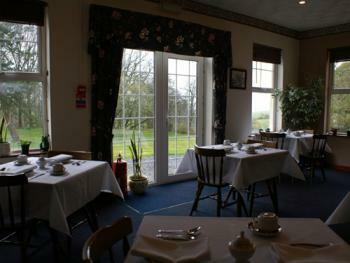 Take the A39 towards Barnstaple. 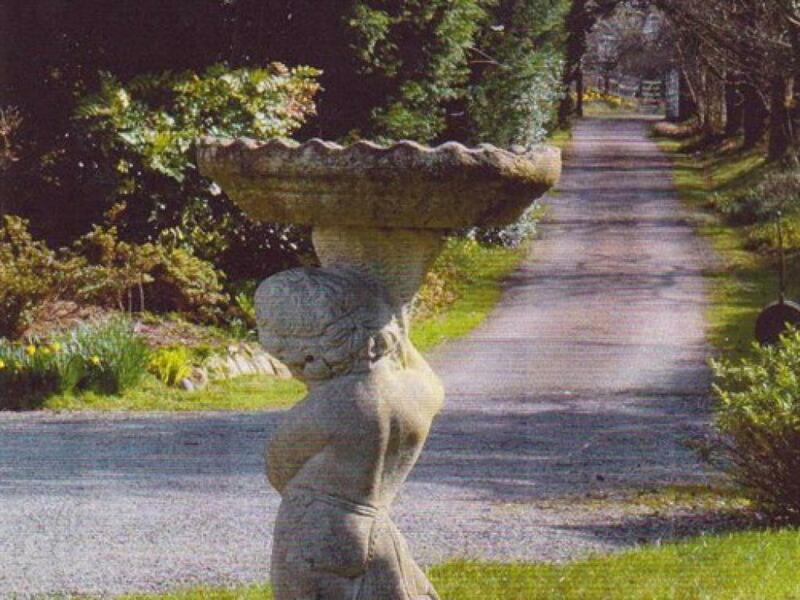 At Barbrook turn right up the hill. 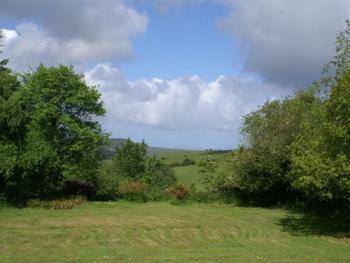 Moorlands is 2 miles on the right just past the turning for Woody Bay. From the M5 take the A361 towards Barnstaple. 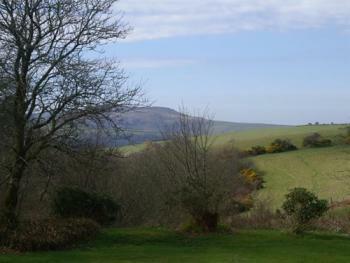 Just past South Molton take the A399 towards Ilfracombe, Combe Martin. At Blackmoor gate turn right onto the A39 to Lynton and Lynmouth. Moorlands is 4 miles on the left just past the Woody Bay station.